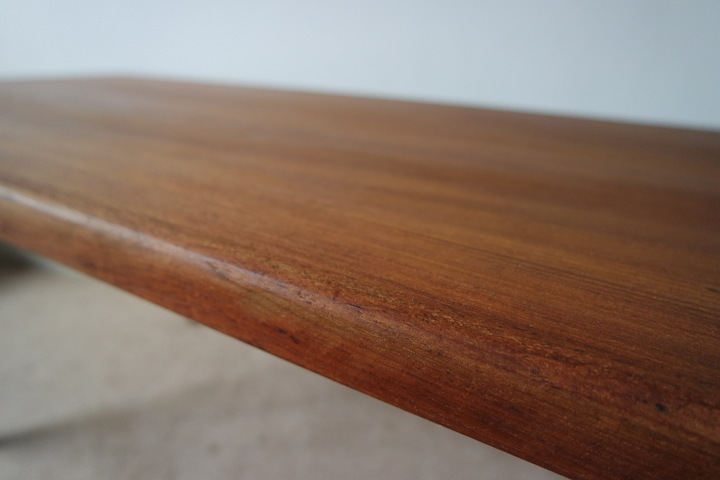 Teak coffee table echoing the style of Johannes Andersen. 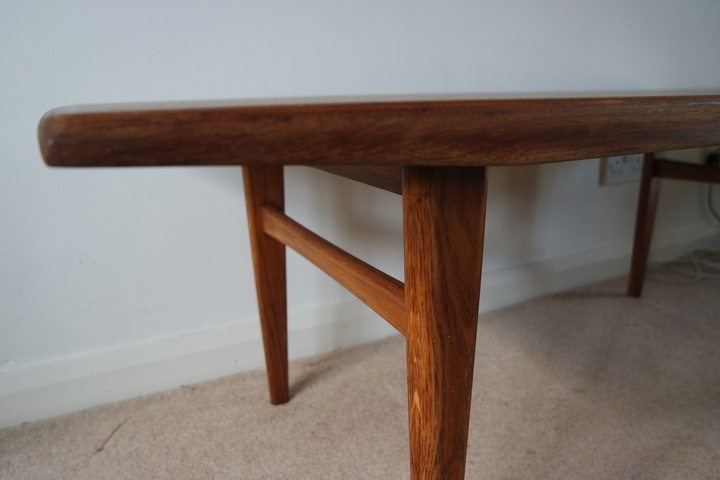 The table is fully refurbished, sanded and oiled to reveal the extraordinary grain. 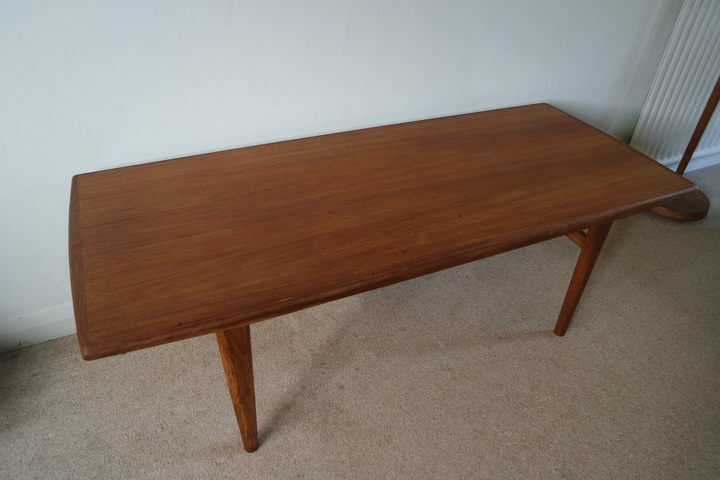 Although there is no maker's mark, this is the perfect addition to modern sitting room.